On July 1st of 2017, OSHA will begin phasing in new injury & illness reporting requirements. When this rule is in place, more than 400,000 employers will be required to submit annual illness and injury reports to the federal government. Many business owners will be caught unprepared by this regulatory change; make sure you are not one of them. The objective of this new rule is for OSHA to compile a large database of workplace injuries and sicknesses. This will allow OSHA to better identify abnormally hazardous work conditions that previously might have gone unnoticed. OSHA plans to make a portion of this database publically available online, which will put many businesses’ safety records a click away from prospective employees and clients. When this rule takes effect, safety violations will not just come with a fine, but also with a great deal of embarrassment. The full text can be found here, but the gist of the rule is pretty simple: once the rule is phased in completely on March 2nd, 2019, all workplaces with more than 250 employees (plus workplaces with 20 or more employees in certain industries) will be required to file their OSHA 300A form every year. Larger companies will be required to submit full form 300 and 301 forms as well. This whole process will take place electronically. 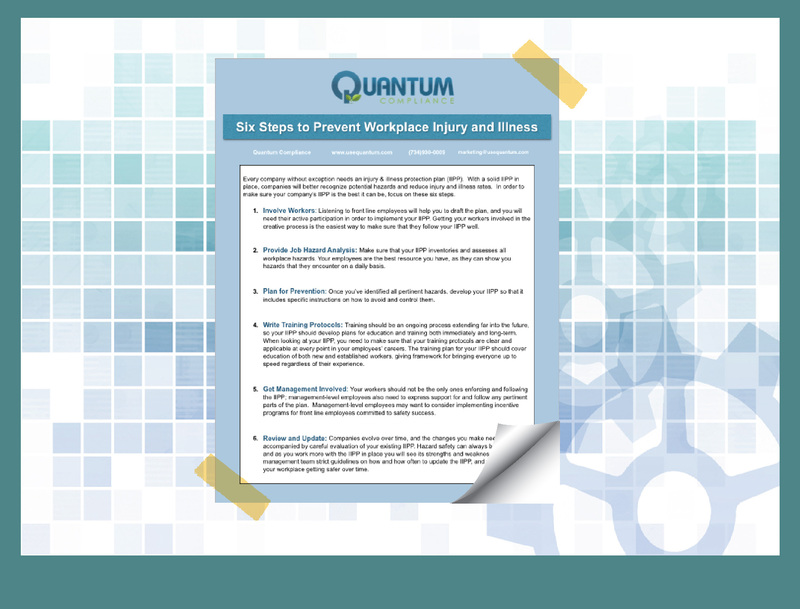 The other portion of the rule addresses concerns that workplace injuries are systemically under-reported. 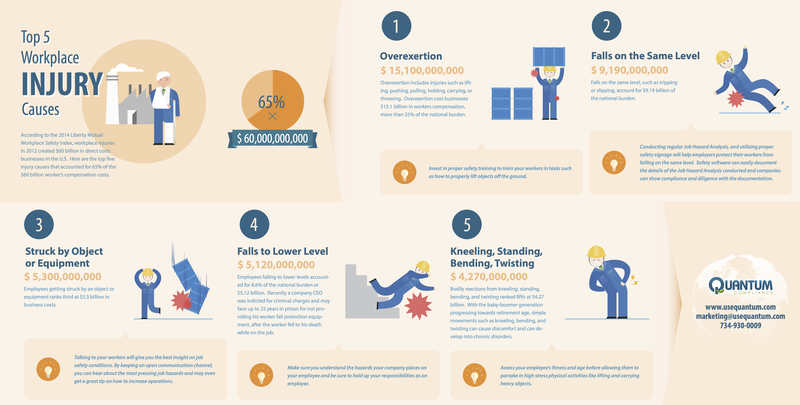 OSHA has recently said that over half of all severe workplace injuries go unreported. If the agency wants the new data they’ll be collecting under this rule to be representative, they’ll have to solve this issue of under-reporting. Inform Your Workers: Your employees might not be aware of their right to report injuries, illnesses, and unsafe working conditions to OSHA. They might not even know that they are legally protected from retaliation when they report an incident! 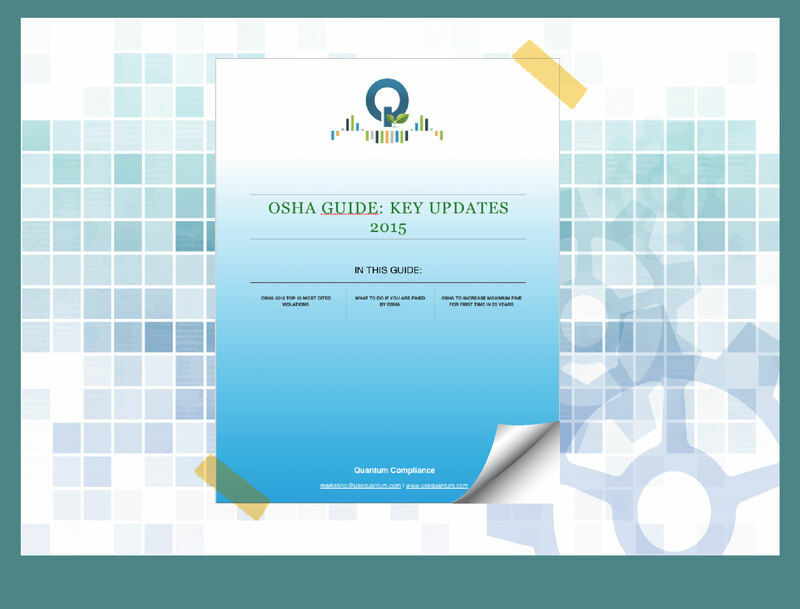 The new OSHA rule has beefed up existing requirements to inform your workers of their rights. The rule now says in no uncertain terms that you must inform your workers of their rights. You can easily meet this requirement by posting a “Job Safety and Health — It’s The Law” poster from April 2015 or later in a place where it can be read by all your employees. Don’t Discourage Reporting: Reporting too many injuries can make you look bad, so you might not want to encourage it. Despite this, you are now under a legal obligation to make the process as hassle-free as possible for their employees. Make sure your reporting procedures are ‘reasonable’ and ‘timely’, so you don’t discourage any workers from reporting their injuries. Don’t Retaliate: Your employees’ have a legal right to report injuries and unsafe working conditions to OSHA. You are breaking the law if you punish them for reporting their injuries. OSHA is serious about enforcing this; they recently fined a school district in Michigan nearly $200,000 for punishing a whistleblower. In order to avoid this, you need to accept all reports magnanimously, and try to accept criticisms of your safety environment. Most importantly, correct the problems they your employees report before they can happen again. These provisions that become effective on August 10, 2016 elicited an unexpectedly large backlash from regulated industries. Citing a need to “conduct additional outreach”, the agency announced that it would delay enforcement the rule until November 1st, 2016. The OSHA rule change mandates improved injury and illness reporting programs for all workplaces. Be sure to keep up with these changes and stay in compliance. By June 1st, 2017, all employers with more than 250 employees will have to submit OSHA 300A (summaries) every year. By June 1st, 2018, all employers with more than 250 employees will have to submit their 300As, along with detailed documentation of every workplace injury and illness they experienced in the last year (OSHA 300 and 301). This must be done annually. By March 2nd, 2019, every employer with 20-250 employees in any “hazardous” industry will have to submit their 300A forms every year. 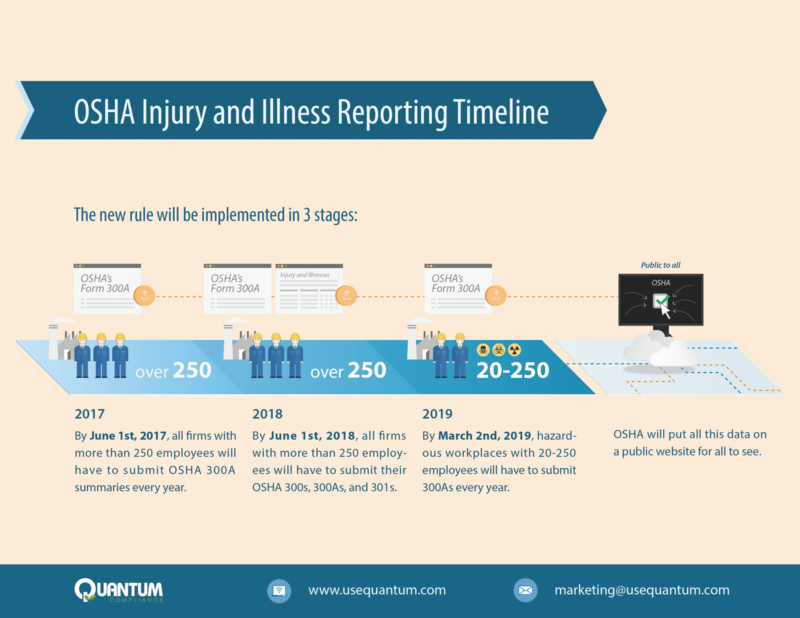 By the end of implementation, around 400,000 American workplaces will be required to submit their injury reports electronically to OSHA, who in turn will post the data on a public website for all to see. If your business employs 250 or more people, then you will have to submit OSHA forms 300, 300A, and 301 to OSHA electronically every year. If your business employs 20 to 249 people and is involved in an industry on this list, you will have to submit your 300A form to OSHA every year. 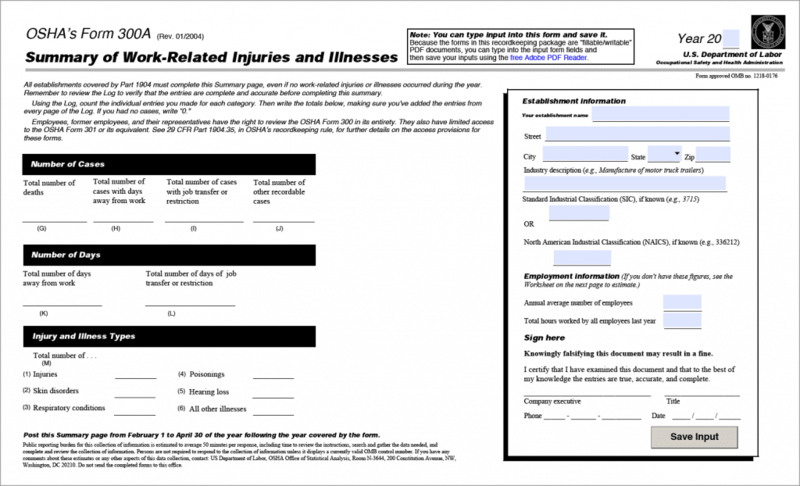 If your business does not meet either of the following two requirements, you will not be required to electronically submit your injury data to OSHA. However, you’re still obligated have a reporting system in place that would allow a reasonable employee the ability to promptly and accurately report any injury or illness. 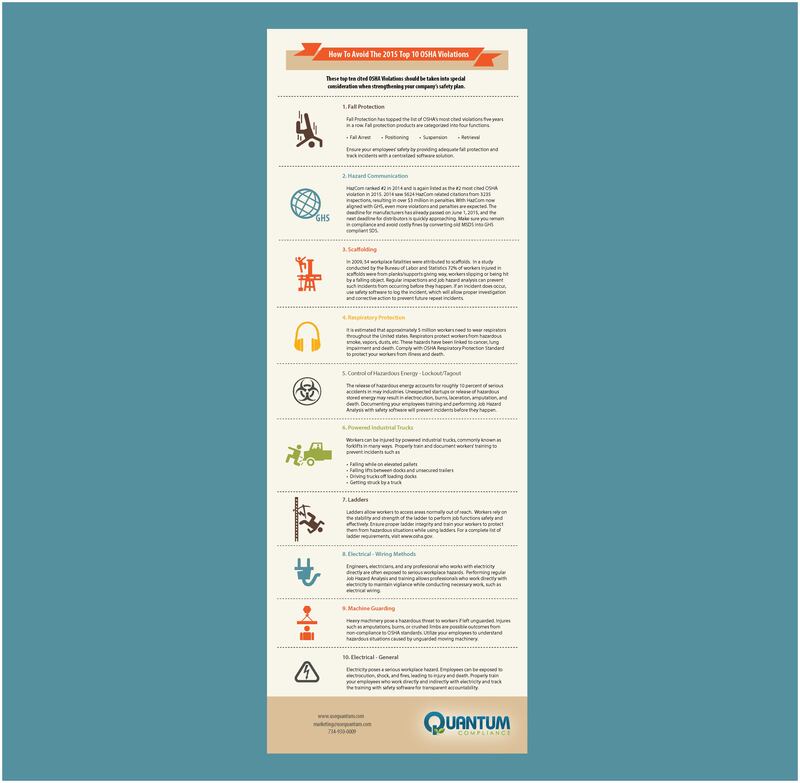 Quantum offers an intuitive and comprehensive solution to OSHA’s new reporting regime. With Quantum’s Illness & Injury Reporting Software, an employer can submit their form 300A with a few short clicks and keystrokes. 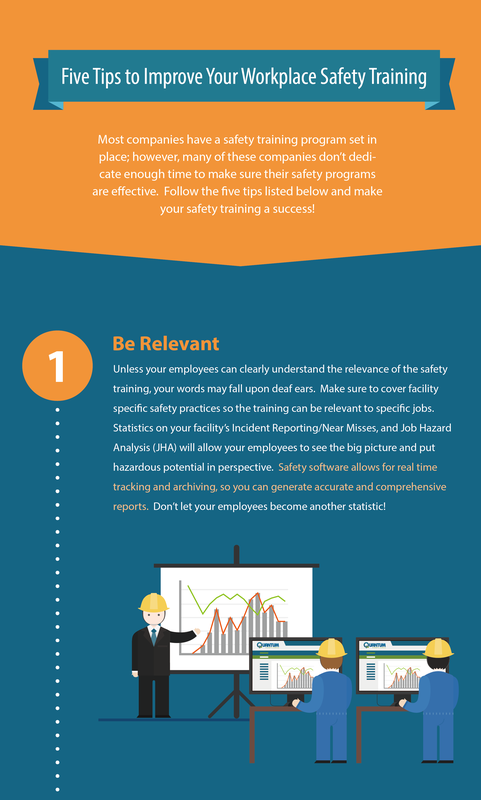 More importantly, our software will help employers prevent the sort of embarrassing and costly incidents that get OSHA’s attention in the first place. If you’re an employer, this new OSHA rule is poised to create new headaches for you and your colleagues. Quantum is able to help you through the process. Contact us now to schedule a demo!